Every great story needs a great story teller. The Premier League has the greatest stories. But in the United States, where the league’s popularity has grown leaps and bounds, we have the greatest storyteller from your side of the pond: an announcer by the name of Arlo White. 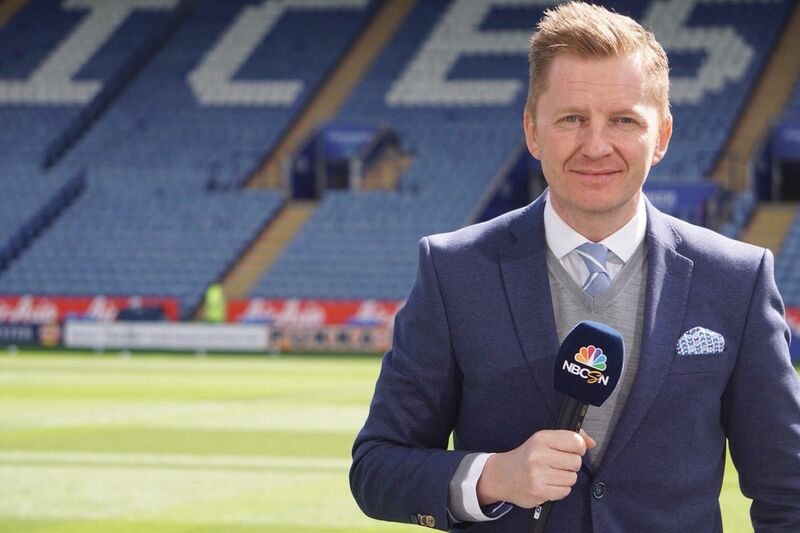 Arlo White is currently the head play-by-play commentator for NBC Sport’s coverage of the Premier League. But it wasn’t like he was plucked from a prime position in Britain before becoming the head commentator of a network spending over a billion dollars to cover the Premier League. He started out doing non-league football commentary at the age of 27. Between 2002 and 2005 he worked for BBC, being the sports reporter for 5 Live’s breakfast show. He also did commentary like Super Bowl XLII in its British broadcast. Afterwards, he took his talents to Seattle, where he became the “voice” of MLS team Seattle Sounders from 2010 to 2012. It was then that he was plucked from his position to take over as the head commentator for NBC Sports. In the United States, our foray into the Premier League consisted of coverage by “Fox Soccer Channel.” It was great to see football on all day every day here in the States. But the problem wasn’t seeing the football, it was hearing the commentary along with it. The best announcers they had were former American players like Eric Wynalda and sometimes the lone British man on set, Warren Barton. They mostly did analysis, so Fox stuck their play-by-play coverage to regular sports announcers, not exactly experts in football. It was a dynamic that wasn’t exactly a perfect fit for the most amazing league in the world, a league that has the greatest stories to tell. When NBC Sports blew away Fox Soccer with a mega-deal for Premier League TV rights, it was now the time for a man from Leicester to narrate the thousands of stories in the Premier League that could capture the hearts of Americans, as so long as it is done right. 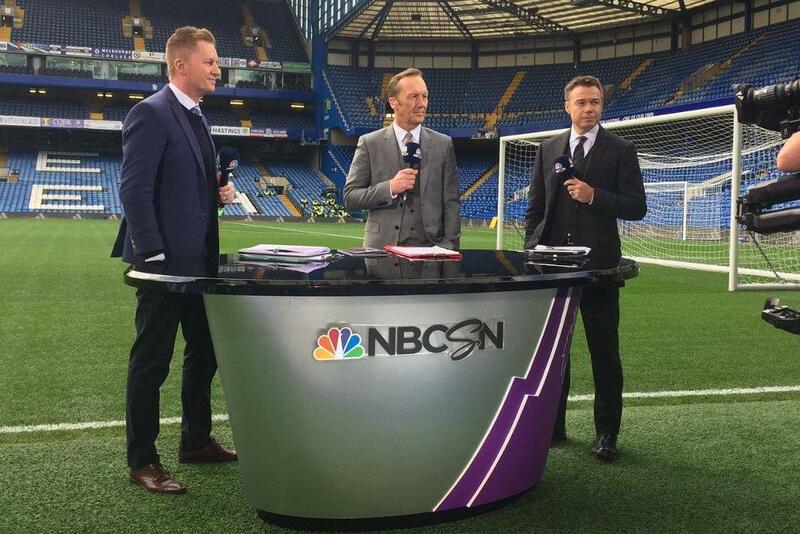 In its inception, NBC Sports coverage of the Premier League blew me away. 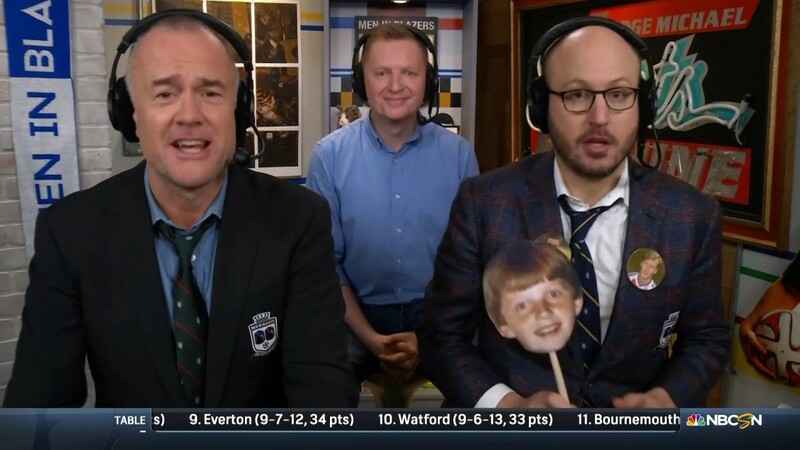 With other great commentators like Lee Dixon and great in-studio analysis from Robbie Earle and Robbie Mustoe, I finally felt the Premier League was being shown in a light that Fox could simply not shine in the years prior. I felt the energy that their commentary was putting into each game. I didn’t care that it was seven in the morning, I made sure to tell my dad to turn up the volume. I wanted to hear the commentary with the games. Like I said, every great story needs a great storyteller. In a time where large teams spend unsound amounts of money to stay on top and create a gap between themselves and smaller teams. What other story is better than the feats of Leicester City in the 2015/2016 season? Who better to tell the story of 5000/1 odds Premier League champions than a man that grew up in that city. The story of Leicester City was something I did multiple speeches on in my public speaking class, right as the season was going on and the Cinderella story was unfolding. For one of my presentations I had to have audio in the background. So I took some of the most exciting commentary from Leicester City moments in that Premier League season. As I look back on the soundbites now, it turns out they were all Arlo White. A coincidence I thought at first, but what I realised is that this man is supremely talented. I want to chalk up his passion as the season grew to him being a fan of The Foxes. Although it could be argued his Leicester bias was showing through, he made mundane Manchester United games sound like a World Cup semi-final. It wasn’t bias, it was a great storyteller telling a great story. It just so happens a perfect storm that his home was on the march to the Premier League title. If anything, his composure to NOT be like a giddy school girl during this season is a true showcase of his talent. He told the story of the rise of Leicester City in such a wonderful way. he also told the story beautifully of the fall of the giant teams. A tragedy and a meteoric rise, all in the same scene of a play, narrated to perfection by White. 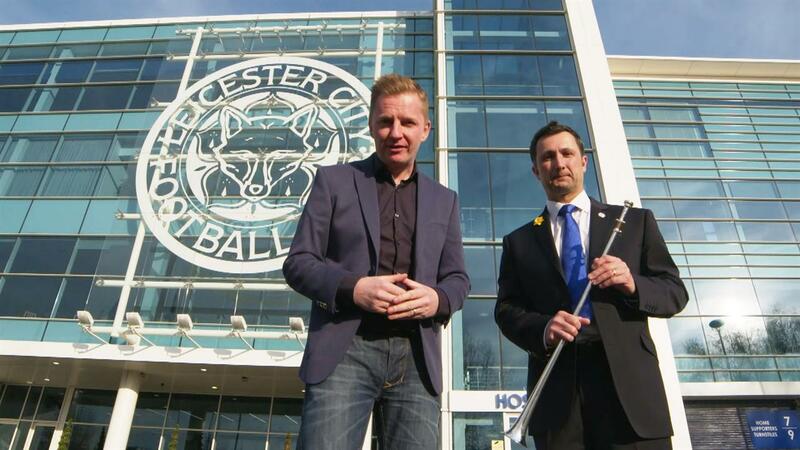 While it wasn’t anything particularly exciting, the Leicester City owner would often fly out of the stadium in his helicopter, which would land on the field after the game and the stadium cleared, where Arlo White was often pitch-side at the King Power stadium giving the post-match analysis with his co-commentators after yet another unlikely Leicester City win. He made the helicopter landing and leaving into something exciting, dare I say something I looked forward to seeing each week. How? It was the ability to capture the energy around the team and the story, and to take it and showcase to the viewer. It isn’t an easy task, taking a wonderful story and being able to make the viewer see how wonderful it is especially to Americans just get accustomed to your version of football. A helicopter flight, an emotional young boy, and a sport most Americans turn their nose up to. To get people (read: Americans) looking in the direction of those things, you need a commentator that can be poetic without being pompous. You need a commentator that can be passionate with composure. You need a commentator by the name of Arlo White. And if you can somehow afford cable in the United States, then you will have the pleasure of listening to him and the rest of NBC Sport’s fantastic Premier League coverage.